Treatment of Anorexia in cases of anorexia nervosa is challenging. Weight loss secondary to distorted thinking is the root cause of endangered well being of affected teenagers and youths. Results are hard to achieve, and relapses are frequent. 10% of affected youths succumb to the disease. Management of medical complications, psychological support to the individual and the family, nutritional rehabilitation and judicious use of anti-anxiety, antidepressant and anti-psychotic drugs for coexisting psychological disorders. Dedicated long term follow up can never be over emphasized. Treatment includes acute management of electrolyte and metabolic imbalance, potassium levels stabilization and variety of systemic function disorders; compromised heart function, liver damage, anemia, diminished resistance to infections, nutritional deficiencies, osteoporosis, poorly functioning kidneys, hypothyroidism and other hormonal disturbances. Recent study published in American Journal of Psychiatry, 2012 shows its promising results also in childhood anxiety disorders. 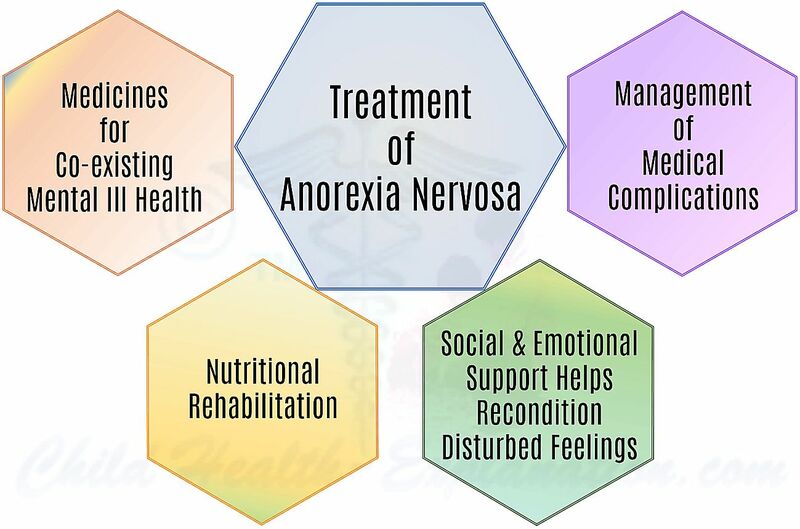 Severe anxiety in anorexia nervosa affected teenagers is a known cause for poor patient compliance to nutritional rehabilitation. Efficient management of anxiety could diminish the relapses and the drop outs of anorexia treatment. Anxiety through formative years is experienced by all. Most learn to target attention effectively in face of anxiety and keep progressing ahead. However, for about 1 in every 8 children the obstacles create intense fear, which affects their day to day experiences through the adulthood. Besides the innate nature, fears, views and prejudices are learnt from cumulative childhood experiences; media effects, war exposure, natural disasters, social expectations, family relationships, peer pranks, influences of significant others and so on. 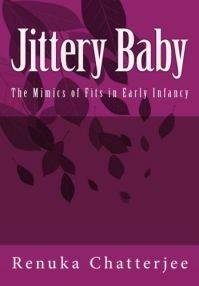 Therefore, early therapy to influence the subjective attitude that causes persistent anxiety can have immense influence on anxious children’s psychosocial development. Like cognitive behavioral therapy, attention bias modification employs strategies to influence cognitive biases that cause persistent unrealistic fears, such as fear of obesity in anorexia nervosa. But unlike cognitive behavior therapy, it focuses on the specific threat child is experiencing. Easily accessible computerized programs are being developed to engage children suffering from anxiety in to graphics that would shift their attention away from the threat and recondition their attitude towards it. Short term hospitalization, at least to initiate weight gain is often essential in advanced cases. Long term hospitalization for patient to reach 85% of her expected normal weight is neither financially feasible nor emotionally advisable. Anorectics need to recognize their need for food and change their faulty eating habits. Therefore, nutritional counselling is the backbone on nutritional rehabilitation. The aim is to educate anorectics on their body’s need for food and essential nutrients within. Regular intense follow up at outpatient department, and in time of need retention at specialized day care centers is recommended. Evening programs and half way houses are also employed in some centers. The hope that prescribed medicines would cure the eating disorder is futile. Medicines have particularly no role in treatment of anorexia nervosa per se. However, in adjunct to psychotherapy several pharmacological agents are frequently prescribed for psychological comorbidities and to facilitate patient compliance to anorexia treatment. Anti-anxiety drugs given before meals helps the anorectics to comply with nutritional rehabilitation program, but is not recommended for prolonged use. Anti-depressants are useful in anorectics with severe depression. Anti-psychotics are prescribed for coexisting psychotic disorders only. They are also recommended in selected anorexia nervosa cases, who are unable to eat in spite of ongoing anti-anxiety medications.